If you are looking for the perfect place to spend your Christmas or New Year break, look no further than the Penmorvah Manor. The Penmorvah is ideally situated just outside of Falmouth, in Cornwall, giving you a great opportunity to explore nearby beaches, gardens and everything that Falmouth has to offer. Leave the stress at home and arrive to a warm, cosy, open fire and all that our inclusive packages have to offer, to make the most of your festive period. We also host many festive events throughout November, December and January. Just perfect for corporate christmas party nights, dinners, luncheons, celebrations and family moments during the festive period. It’s time to eat, drink and be merry! And there are no better Christmas hotel breaks to be found in Cornwall than here at the Penmorvah Manor. Our combination of attractive surroundings, good honest food and a relaxed environment means that you and your family and friends will enjoy your Christmas hotel break in style. Relax in the lounge and enjoy a few games, take in the Queen’s Christmas Message or just chill out with a glass of something and a good book in front of the fire. 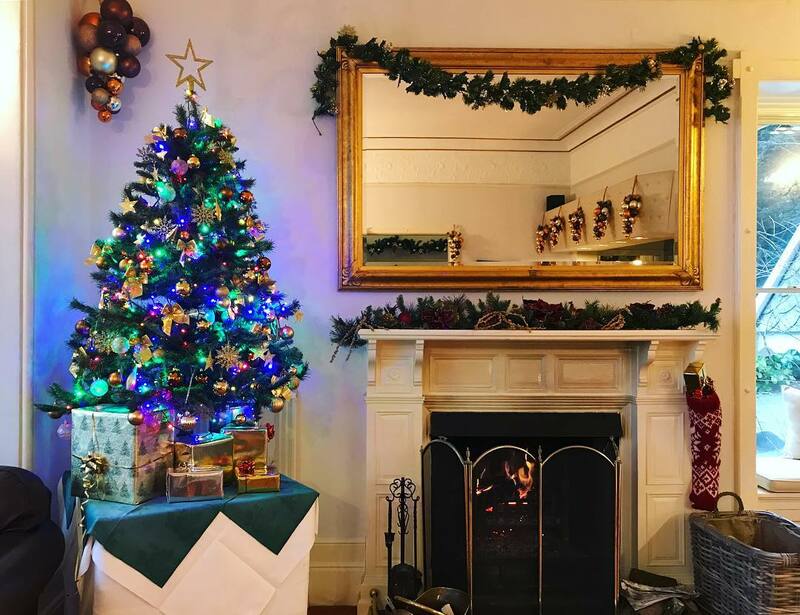 There is a lovely festive ambience at Penmorvah Manor that is quite unique and creates that special magic that everyone is looking for on Christmas hotel breaks. Our festive menus for parties, celebrations and family moments during the festive period. Why not spend Christmas with us? We've got it all wrapped up! Details of our festive breaks, dinner, bed and breakfast offerings. 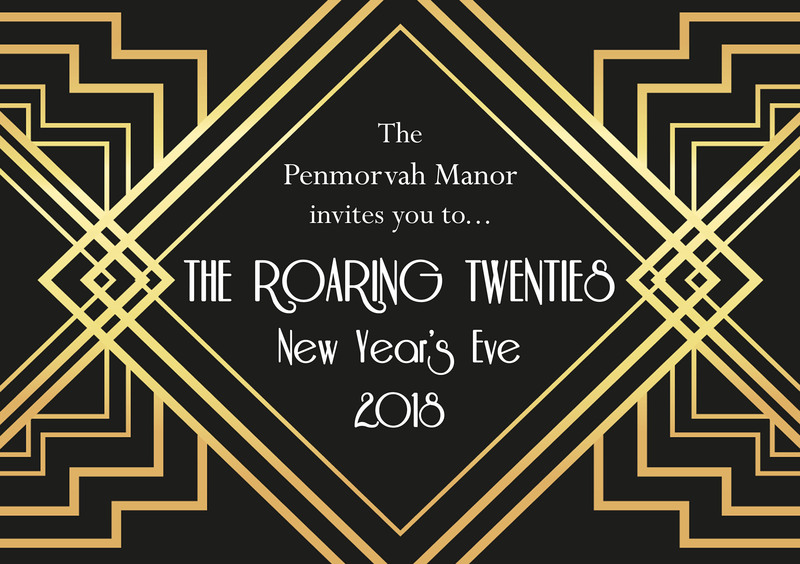 For New Year hotel breaks in 2018, look no further than Penmorvah Manor. Our wonderful entertainment programme means you will see in 2019 in style. Our New Year hotel break will be sure to help you enjoy the stunning combination of attractive accommodation, great food and a first class house party! New Years Eve Gala Dinner just £72.50 per person. Start your evening with a welcome cocktail and canapés in the lounge. Thereafter enjoy a terrific six course Gala Dinner with Columbian Coffee and Truffles to finish. Join us for a party that promises to bring in the new year with style, jazz and class. Dance the night away with music straight out of the swing era with the Tim Barnes Disco, playing until 1am. Why not stay over with special accommodation rates for guest attending the New Years Eve House Party, from just £85.00 per room including a great Cornish cooked breakfast.